Six months after he washed up on a Siberian beach, John Martin III is back in the United States. 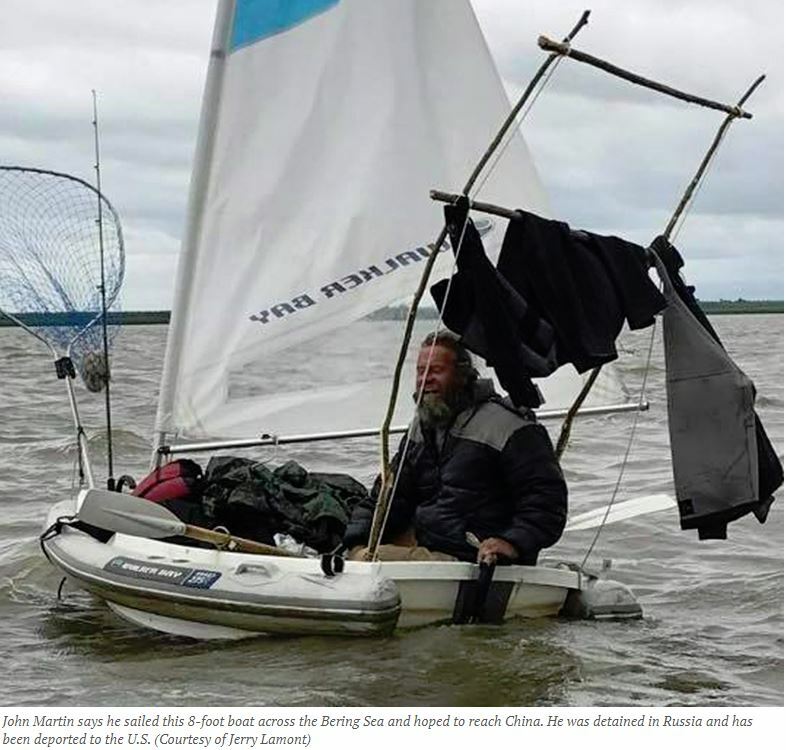 In July, Martin, an Anchorage fringe figure and homeless activist, set out from Emmonak in an attempt to sail an 8-foot dinghy across the Bering Sea. He planned to get to China to reunite with his wife and son, he said. Two weeks into the journey, he washed up on a beach on Russia’s Chukotka Peninsula instead. He had no passport, documents or money. He was held for months at a Siberian hospital undergoing legal proceedings. In December, he was taken to what he described as a “prison” in Moscow to await deportation, according to his website. “After nearly six weeks in the detention center in Moscow, the Russian government deported me back to the USA,” he wrote on his website. He arrived in Washington, D.C., on Monday. Martin III wrote that he’d be back in Alaska on Sunday.